The importance of diversity and inclusion has had a major influence on executive decisions and positively impacted corporate earnings. From corporate boardrooms to the executive suites, the voice of influence has been that of women who are bringing a unique perspective from a different lens. We invite you to join us to hear five dynamic and influential women share stories of their professional journeys and their perspective on leadership, governance, progress, and the road ahead. Donna Sims-Wilson, President – Smith Graham & Co. Investment Advisors, L.P.
Tina Byles-Williams, CEO/CIO – FIS Group, Inc.
Moderated by Monica Bertran, Head of Bloomberg’s Corporate Communications Digital Platforms and Technology team. Melanie Mendoza joined Matarin as Chief Compliance Officer (CCO) on September 17, 2018. In her role as CCO, Melanie will manage the firm’s compliance program and regulatory footprint. As an executive of the firm, Melanie is a member of the Matarin Management Committee and various other operational committees. Melanie joins Matarin from Ascendant Compliance Management. As a Senior Compliance Consultant at Ascendant, she advised and supported SEC registered investment advisers with comprehensive regulatory services. Prior to Ascendant, Melanie served as Senior Corporate Compliance Office at ICMA Retirement Corporation where she managed the sub-adviser due diligence program and the 40 Act board reporting process, among other duties. As Chief Compliance Officer for Credo Capital Management, Melanie developed the firm’s compliance program, building out the internal trading and trade settlement platform, and designing the operational and administrative process for client accounting and client service. In the past, she held the positions of Trader and Portfolio Administrator at Brown Capital Management, where she traded and supported both the domestic equity and international equity investment teams. Melanie’s career in financial compliance, operations, and administration spans over 30 years. Melanie earned a BA in Psychology from Notre Dame of Maryland University. She holds the Certified Regulatory Compliance Professional (CRCP) designation, a FINRA/Wharton Certified Regulatory and Compliance Professional program and the holds the FINRA Series 65 certification. Melanie serves on the Institutional Review Board for the University of Maryland, Baltimore, Office of Human Research Protections. 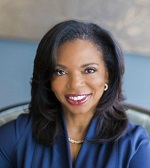 Smith Graham & Co. Investment Advisors, L.P.
Donna Sims Wilson is the President of Smith Graham & Co. Investment Advisors, L.P., a $6 billion investment management firm in its 28th year of operations. Mrs. Wilson is responsible for Business Development, Marketing and Client Relations. She also works in conjunction with the Chairman and CEO on new product development and short and long-term strategies for the firm. 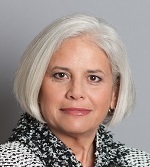 She serves on the firm’s Executive Committee, Investment Policy Committee, and is a member of the Board of Directors. Susan is a Founder and President and CIO of Appomattox since 2005. In her role as Chief Investment Officer, she Heads the investment Committee which is responsible for setting the firm’s overall asset allocation as well as the strategic implementation of the firm’s view. She oversees a team of professionals that monitors each client’s appropriate asset allocation mix to ensure that the appropriate mix of risk and return, portfolio liquidity and portfolio distribution requirements are optimized. She also monitors and overseas the manager selection process and the ongoing evaluation of each manager for appropriateness as an allocation. She overseas each portfolio actively to assess risk metrics, taking proactive measures to manage risks in the portfolio and adjusting asset allocation as appropriate. Prior to co-founding Appomattox, she founded and was President of First Atlas Capital, Inc., the SEC Registered Advisor of Atlas Capital, a Five Billion Dollar global asset manager, managing funds of hedge funds and other be-spoke portfolios. In this capacity, she was a member of the Global Investment Committee, overseeing a wide variety of funds, and launched, with Weston Capital, the Weston/Atlas Manager Seeding Platform. Her career in finance spans over 30 years where she developed an expertise in trading, financing, and structuring derivatives. Susan began her career at Irving Trust in 1984 where she completed the credit analyst program and worked in loan work outs. She left after two years and joined trading desks for five years each at Citibank, Paribas Capital Markets and CIBC. While there she either joined, or set up and ran, derivative trading groups including interest rate, currency, equity, credit and hedge fund structuring. In 2000, she joined Caisse des Depots as a Managing Director and established their credit derivative and synthetic CLO and hedge fund structuring business in the US. She has 15 years direct experience managing portfolios of hedge funds. Susan is a board member for GTI Capital Group, an investment firm focused on opportunities in India. She does not receive compensation in connection with GTI Capital Group or any business activity outside of Appomattox. She is on the board of High Water Women, a non-profit foundation that encourages financial education of women and youth. She is also on the advisory board of Catalyst Financial Partners, a group that promotes small and emerging managers in the financial industry. Susan is an Elder, and a former head of stewardship at the Brick Church. She received a BA from the University of Virginia with a double major in Economics and Psychology in 1979 and an MBA from the Darden School at the University of Virginia in 1984.
women-owned. Prior to founding FIS Group, Ms. Byles Williams was a principal and senior consultant with the investment consulting firm WHP, Inc.
Rita Sallis is a Senior Advisor to Blueprint Capital Advisors where provides guidance on business strategies and development, and is a member of the firm’s investment committee. Prior to Blueprint, she was a Principal at the Yucaipa Companies. She was responsible for marketing, client servicing, investor relationship maintenance and deal sourcing. She joined the Yucaipa Companies after serving for eight years as Deputy Comptroller of the City of New York. She is the former Chief Investment Officer of New York City’s $100 billion pension system where she directed the overall investment plans of the City’s five public pension boards. Her responsibilities included the day to day operations of the Bureau of Asset Management (BAM) with direct oversight of the treasury, accounting, budget, tax and audit activities of BAM. The funds invested in a variety of asset classes, including U.S. and foreign equities, U.S. fixed income products, private equity and real estate. Her functions also included managing the fund’s cash, directing allocations to investment advisors and analyzing the performance of individual managers. Prior to assuming the role of CIO, Rita was Deputy Comptroller for Public Finance. She was responsible for providing capital for the City’s multi-billion dollar capital improvement program through the issuance of tax-exempt bonds. She managed the issuance of over $45 billion in debt for the City’s various financing programs and worked with the mayor’s office of management and budget to develop a swap program that led to the issuance of $3.4 billion in notional value of swaps. During her tenure, many opportunities were created for new firms to have a more senior role on the City’s under- writing team, including regional and women and minority owned firms. Ms. Sallis was recently appointed to the JP Morgan Infrastructure Investment Fund board. Her board experience also includes a three year term on the Municipal Securities rulemaking Board, 2014 to 2017. She was reappointed to the board in 2018 to complete a portion of a departing members term. During her term on the board, she chaired the nominating and governance committee, and also served on the steering committee. She is a member of the Vestry of St. Andrews Episcopal and Holy Commu- nion Church and is a former trustee of the Essex County College Board, the Citizens Budget Commission of New York, the Municipal Forum of New York and the South Orange Board of Adjustments. Her awards include the Network Journal’s 25 Influential Women in Business Award, The Metropolitan College of New York Leadership Award for Education and Diversity and she was inducted into the National Association of Securities Professionals Wall Street Hall of Fame. Ms. Sallis is an active member of the Links Incorporated and an alumni of Jack & Jill. She was voted Distinguished Mom by the North Jersey Chapter of Jack & Jill in 2011.